I'm torn between it and the more limited harder to find 2018 atgames Genesis that slipped out before Christmas. I'm sure most here would laugh at atgames, but that one they gave up trying to do it in house and licensed genesis gx emulator from the author. Combine that stability with the cart slot on top, real controllers as a choice and a built in on the right side SD slot that allows you to basically play any game (outside of Virtua Racing due to the SVP chip) and it's hard to really ignore it. The only way to match that for a more compact size still and games would be about a $300 investment into an everdrive and a mega sg from analogue. If only they stopped altogether using "iconic", "legendary" and slow-poke "reveals" ... it's like the world has gone dumb ... it worked a couple of times but we are in 2019 where Netflix releases all episodes of a series at once ... so enough with the nonsense, the made up hype and thrill of expectation. I don't blame you man, that 2018 one is pretty neat too. Having Master System games is pretty sweet. The only retailer that seems to carry it in my area is Target, you might want to check there. I get that, it seems like nobody learned from the PS1 classic debacle. It's hard to get excited about this thing when Sega themselves have devalued their own properties so often. Having 3/4 of the included games being the same old stuff is one thing, shoving a 3 button controller on Westerners that nobody wants is another. I think it'll be great. And I'm willing to bet it costs less than just buying a cart of Bloodlines and Gunstar Heroes for your Genesis...Thankfully I already have'em! This is the route I'm going. You ever notice that whatever gets announced...People always want something else? I mean it's very cool that now, with the internet companies can see what people really want...But here I am happy for a Genesis Mini...And most Twitter comments are When are ya gonna make a Saturn Mini?, Why no 6 button Controller? (OK This one I get since Japan gets one), and How about a Dreamcast Mini? The only way to match that for a more compact size still and games would be about a $300 investment into an everdrive and a mega sg from analogue. If you skip the cart slot then any other emu box such as Wii/RPi/etc can match it. I'm wondering if this might be the reason we only got the three button: http://retro-bit.com...a-collaboration can't say for sure, but this is the only reason I can think of. I saw the twitter comments too, it makes me chuckle because people seem to forget that both the saturn and the dreamcast were massive failures. Don't get me wrong, they're both very innovative consoles, but both times playstation blew them both out of the water. Edited by 999galaxyB, Mon Apr 1, 2019 9:54 AM. i'm aware, but that's also why I brought up all of it about that rarer to find 2018 model. They license a known solid working emulator and then make it handle 3 things in 1 (Internal ROMs, Original Carts, Everdrive-like SD side loading) so that's why I brought it up as there's real appeal there. For all the years atgames screwed stuff up and soured myself and thousands of others on their stuff, it's kind of a hard thing to swallow to back track and give them credit but it may just be a case of just too little too late for some, but not me. But for all we know this unit from Sega, we haven't actually seen a hands on piece of plastic shell have we? It may have SD support too but they just won't discuss it considering how warm they were to openly advertise ROM loading on the atgames firecore for a decade. They fixed the bugs on the Genesis Flashback 2018. Shining Force 2 doesn't crash on spells and reflections now show up in Castlevania Bloodlines. It's hard to keep track of all the AtGames Genesis Flashback releases and their various flaws, but 2018 had wireless controllers, right? Weren't those the ones that literally would miss the button press every time you pressed it, making the games practically unplayable? No, they were fine. You might be thinking of the older versions that used infrared line-of-sight (like a TV remote control). The modern stuff uses radio frequency and they're quite responsive. AtGames gets a bad rap IMHO. Their stuff isn't perfect, but it's plenty fun for casual play, especially for the price. It took them over 10 years to get it basically right, but as Sega decided to go it on their own it appears the 2018 model got it right using GenesisGX as its core and also doubled it as an everdrive as they tout a firmware upgrade on their site will allow the SD card to side load games too. Call it casual if you want to be snarky, but it's really the best low price option for good HDMI Genesis play and a kit rolled all into one. I figure in time I'll probably grab one, unless that Sega one loads stuff as easily too considering their blind endorsement of that tactic from the early sega genesis handheld days at atgames. I haven't played many Genesis games on the related Legends Flashback with the same emulator (Mostly just a lot of Roadblasters, which seems to run perfect), but it also seems to run Sega CD games nearly perfectly. I've played through the Sega CD releases of Ecco the Dolphin, Prince of Persia, Wing Commander, and Jungle Strike (Via the Strike Trilogy prototype that was discovered a few years ago) with no issues this year. 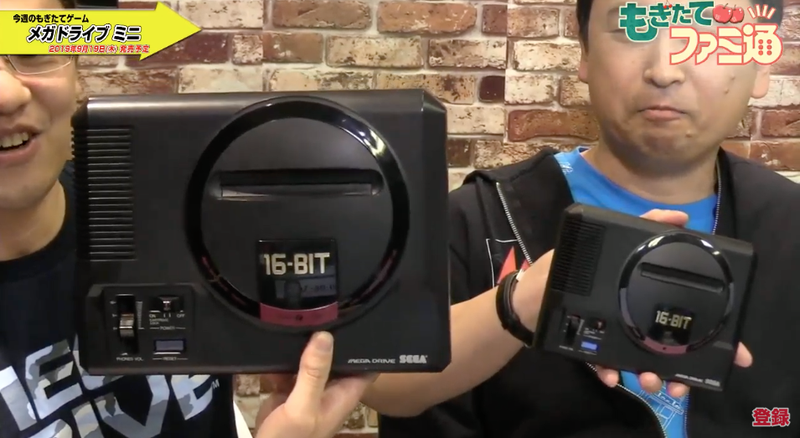 I assume the same performance can be had with the 2018 iteration of the Sega Flashback HD, since other than a change of name and a missing cartridge port, it's the same system under the skin with the same Genesis Plus GX emulator. Edited by Atariboy, Mon Apr 15, 2019 10:44 PM. That does seem to verify what I had been able to dig up, though I didn't know the emulator was bought twice for the other device too. So if that compatibility is there and that high, the only restriction would be what ATgames didn't allow like I'd bet 32X and CD stuff. I don't believe Genesis Plus GX has any 32X support. Virtua Racing doesn't run well on the Legends Flashback, which is the one serious issue I saw with Genesis emulation on the system. I assume the hardware just doesn't have the horsepower needed rather than it being an emulator issue. There are of course some games with off audio though, as demonstrated by various YouTube videos (I believe Aladdin is one such example). But I've personally yet to encounter anything in the games I've tested, so I believe it runs most Genesis games very well. It's not a bad way to enjoy some Genesis games while I wait to get a Mega SG, and afterwards it will become a dedicated Sega CD system with a few dozen arcade games alongside it (Been slowly working to eliminate track-ball games, games with missing audio, games with bad audio lag, games that crash, and so on from the MAME roms that I have on it). Edited by Atariboy, Tue Apr 16, 2019 8:08 PM. 10 more games have been announced. I hope some Capcom properties are in the rest. Edited by Atariboy, Thu Apr 18, 2019 9:02 AM. Line up is getting pretty good. Capcom not putting games on it would be weird. Sega is copying what Nintendo did correctly, Sony tried to copy Nintendo in the worst way possible and failed miserably. One is getting the licensees on board with their best efforts and the interest for it shows with Sega having that device with everything needed to play in the box. The other (Sony) put out a piss poor game selection with most the memorable games missing along with a janky emulator and not even a power adapter in the box for $20 higher. Capcom has taken their Genesis games and shoved them on TV game adapters and other stuff in the past, so it would be beyond weird not to find them do this package deal as on board as they were with Nintendo a couple years back on SNES. Ghouls n Ghosts, Strider, Street Fighter and Mega Man in the last decade plus have been licensed out on multiple occasions, so I would think at least 2 of those 4 would make the cut if not all. I would think Mercs, Forgotten Worlds, Chiki Chiki Boys and Slam Masters are less likely and Punisher and the SNES converted Mickey platformer are licensing issues. Game line up looks solid so far. Funny thing is I was less then enthusiastic with the collection on the Xbox One comparded to the 360.